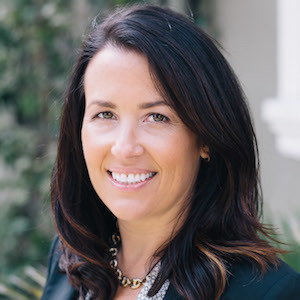 Consistently ranked among the top 1% of real estate agents in San Francisco, it's no surprise that Erin Thompson has amassed a long list of repeat clients and a thriving referral business. In fact, exceeding client expectations is her primary goal for each and every transaction. As she likes to put it, "A completely satisfied client becomes a client for life." A San Francisco resident for more than 20 years, Erin has more than 15 years' experience in the local real estate market. She began her career working in the development sector, but quickly realized that her passion is working with people. That early experience has given her in-depth understanding of construction, which coupled with her sharp eye and unparalleled negotiation skills, translates to a breadth of experience that is critical in the Bay Area. Genuine, well-connected, hardworking and unfailingly trustworthy, Erin is a highly respected and sought-after agent in the ultra-competitive San Francisco market. Erin is active in a number of important trade groups and sits on the Holy Family Day Home Auxiliary Board. In her free time, she enjoys spending time with her family and her two Bernese Mountain Dogs, both of whom are SFSPCA Animal Assisted Therapy Dogs.